Kibworth, Harcourt and Foxton in Leicester, have a lot to offer when it comes to shopping, dining and finding out what the area has to offer. To explore these areas, why not book a VIP Chauffeur Service that will fulfil your every need. We can help you to travel in style by transporting you in our luxurious and stylish vehicles. And we offer a refined Chauffeur service that is delivered in a professional manner by our qualified drivers. The Kibworth Harcourt antique centre is a great place to explore and immerse yourself into culture and history. This beautiful village is a jewel in the crown of Leicestershire, offering charm and real character. 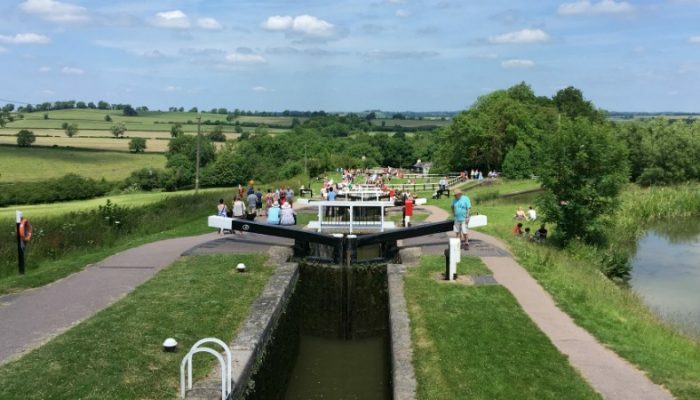 For those of you who do prefer to find out more about the area, the Boilerhouse and Foxton Locks is a museum that gives you the chance to view the many artefacts on offer. If you want to extend your break, then The Barn Owl Hollow offers a luxurious level of accommodation in a quiet location, enabling you to relax. The George Inn in Church Langton is an 18th Century Coaching Inn that also offers good food and real ales. The Three Swans Hotel located near Foxton is also the perfect option for those who want to be surrounded by atmosphere while benefiting from comfortable rooms. Wherever you choose to stay, our Chauffeur service is designed to offer you the chance to explore the areas and maximise your time in these wonderful parts of Leicestershire. And for a fine dining experience, the Lighthouse in Kibworth Harcourt offers a wide selection of seafood dishes and tantalising desserts. For those who prefer something a little more relaxed, the Pug and Greyhound offers traditional pub food in a more refined setting. And if you choose to eat in Foxton then Ascough’s Bistro is the ideal place for fine dining, where you will find scallops and beautifully presented meals. Should you choose to travel by train, our drivers will be ready and waiting for you. Our service is professional, punctual and reliable and we also cover all of your Seaport transfer requirements as we cover many of the major Seaports through the UK. And our fleet of vehicles is designed to fit a wide range of requirements. Our whole service is all about ensuring that you experience a first-class chauffeur service that is delivered in a professional and effective way. And finally, if you’re hosting a wedding or you have a business meeting or just need a VIP chauffeur in Kibworth, Harcourt and Foxton. Contact Leicester Executive Chauffeurs today for more information, book online or call us on 0116 324 0004.